1. 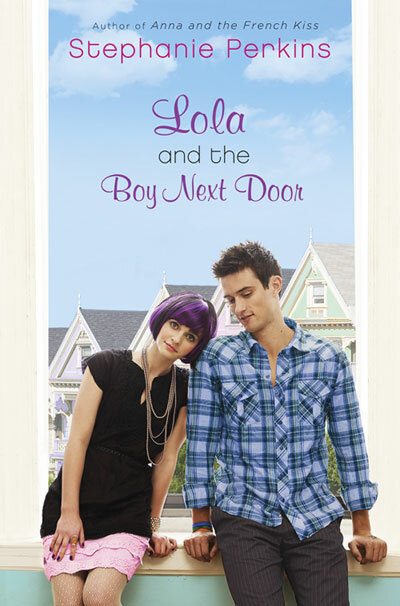 Lola: She is such a fun character. I really liked her personality and how she treated clothes and her looks was amazing. 2. Cricket: He is so nerdy and amazing. He also likes Lola for who she really is. Can I marry him now? 3. San Francisco: I loved the setting. It was so rich and awesome. I want to visit there like now. 4. The Writing: Perkins is the master of YA Romance and I totally loved this book. 5 Anna and St. Clair Cameos: They are in the book in a few times and omg, it is so adorable. My full review will be up in September, but I hope that you enjoyed this small post. ZOMG I was already excited about this, but Anna and St Clair appear, too?! I NEED to read this so badly. this book rocked. I loved it.